Feature by Feature comparison of WebWatchBot Enterprise vs. Professional. Depend on one or more other Watch Items. Dependent actions - stop, start, trigger or reset alarm actions, i.e. email alerts. Reports View – Create, edit delete, run, and view recent output of reports. Status View – Viewable Status report. User Administration ?Administer users and assign access types. 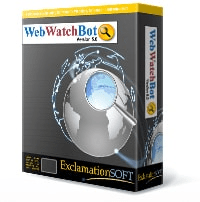 1 One license is required per installation of WebWatchBot. One installation may monitor other servers that do not have WebWatchBot installed. Unlimited: There is no restriction to the number of monitored items. Your results may vary based upon factors such as concurrently executing programs, processes, and services. Additionally, each Watch Type, e.g., ping, port, http, etc., affects performance differently based on the resources needed to execute.